Dr. Jake and the team at Foutz Family Dental provide complete dental care with warmth and expertise. 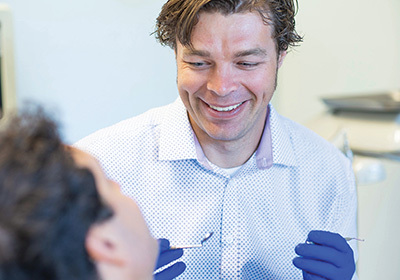 We value open dialogue, leading-edge technology, and a holistic approach to oral health. We understand choosing a dentist for your family is an important decision—and we want to earn your trust. “It’s your mouth,” says Dr. Jake. “You should know what is going on in there!” He wants to help you be the director of your dental health. Together, you will set objectives, build a relationship, discuss any issues, and create memories along the way. Our goal is to make your visits as easy, comfortable, and informative as possible. Become a part of our patient family and see how our commitment to quality dentistry will bring a smile to your face! We will do our best to ensure you can make the most of your dental insurance and get the treatments you need. For those without insurance, we have the Foutz Family Dental Plan—to help you, and those you care about, achieve and maintain healthy teeth and a good quality of life. We believe in early detection to provide the most minimally invasive treatments. Helping people improve the quality of their life through dentistry. 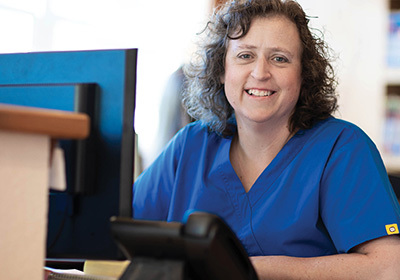 Dedicated to providing comprehensive, thoughtful care to our community.